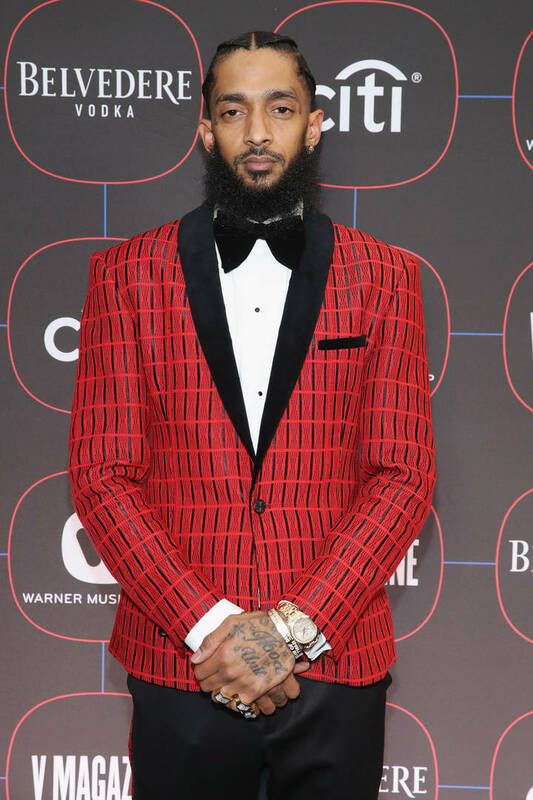 The woman who drove Eric Holder to Nipsey Hussle's shop reportedly says she doesn't know what they were there for. In the two days since Nipsey Hussle was killed in Los Angeles, information has slowly been making its way out about the alleged suspect, Eric Holder. There was reportedly a personal dispute between Holder and Hussle and when they clashed outside of The Marathon, Holder reportedly reached for his gun and opened fire. Fans, friends and peers have been reacting to the news with extreme sadness and now, a bizarre update has come after TMZ phoned the woman who allegedly drove the getaway vehicle. It was previously reported that a woman was waiting in the alley for Eric Holder so that they could get away after the shooting. After getting ahold of the driver's contact information, TMZ called her and for some reason, she actually picked up the phone. According to the phone conversation, the woman said that she knows Eric Holder and that she was with him when they went to Hussle's shop on Sunday. She claims that she was waiting in the alley when Holder walked over to the store but apparently, she didn't know why they were headed over there. She also reportedly claims that Holder said nothing when he got back in the car. Following the conversation, TMZ spoke to detectives about the phone call. The woman reportedly said that she would call the police to "clear her name."